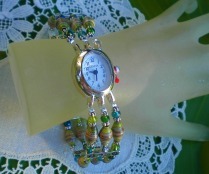 The next five posts will be all about beaded watches. 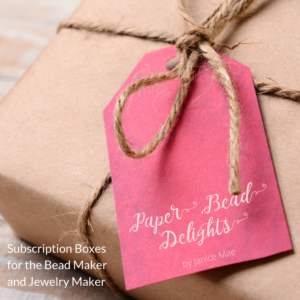 This will be part of our new accessories collection using, paper beads. There are watch faces of all kinds that you can find everywhere, they come in all shapes, sizes and colors and they’re great with paper beads. 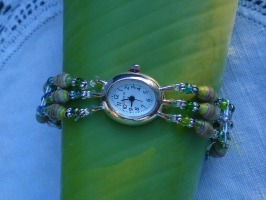 Coordinating seed beads the color of ever green brought out the subtle green hue of the paper beads.